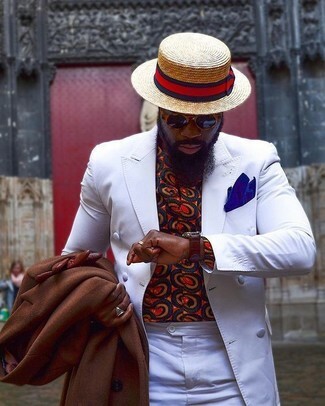 For a smart casual getup, consider pairing a Canali kei double breasted classic fit sport coat with brown chinos — these two items go nicely together. 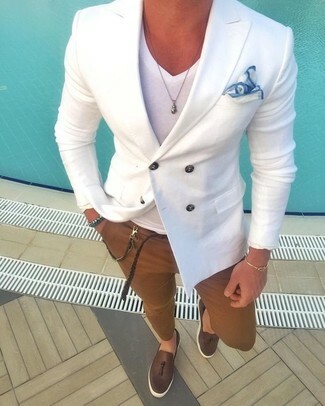 Dark brown leather tassel loafers work amazingly well with this look. If you're scouting for a casual yet seriously stylish outfit, consider pairing a Canali kei double breasted classic fit sport coat from Bloomingdale's with black ripped skinny jeans. Both pieces are totally comfortable and will look great paired together. Channel your inner Ryan Gosling and opt for a pair of black suede chelsea boots to class up your look. 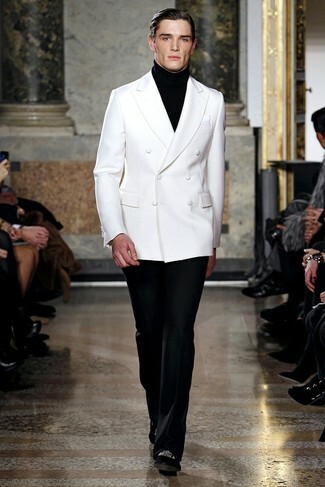 Marry a Canali kei double breasted classic fit sport coat with black dress pants for a sharp, fashionable look. Make black leather loafers your footwear choice to make the getup more current. 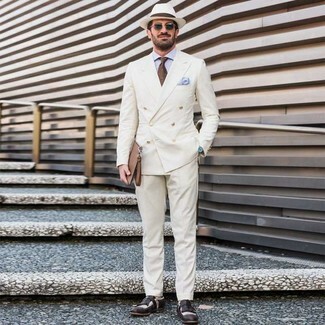 Wear a Canali kei double breasted classic fit sport coat and black dress pants like a true gent. Add a sportier feel to your ensemble with black embroidered suede loafers. This pairing of a Canali kei double breasted classic fit sport coat and navy and green plaid chinos is so easy to put together in next to no time, helping you look awesome and ready for anything without spending too much time searching through your closet. Opt for a pair of black leather brogues to make the look current. For a casually elegant getup, team a Canali kei double breasted classic fit sport coat with navy chinos — these two pieces the place of work perfectly together. 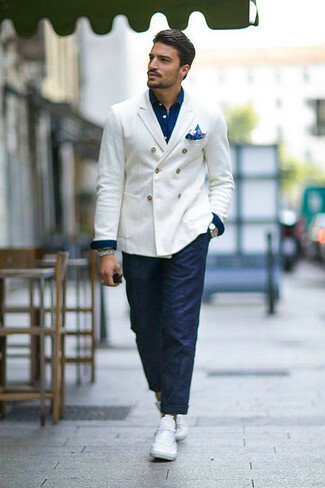 For something more on the daring side to complement this ensemble, rock a pair of white low top sneakers. 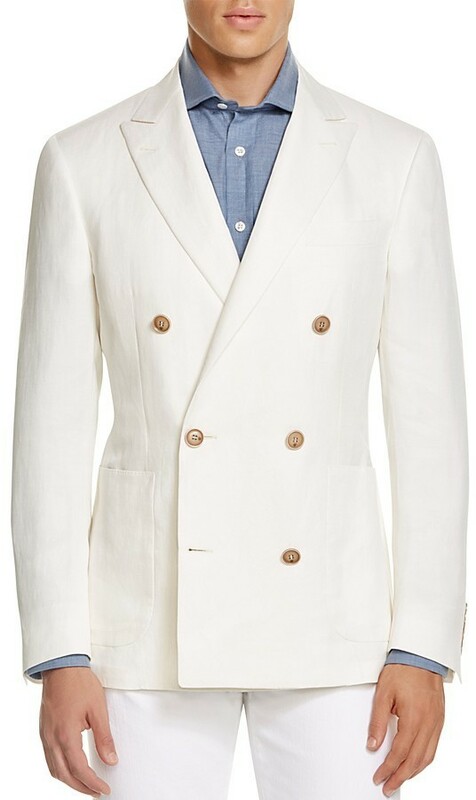 Opt for a Canali kei double breasted classic fit sport coat from Bloomingdale's and white dress pants for a sharp classy look. Black and white leather brogues will deliver a more relaxed feel to your outfit. 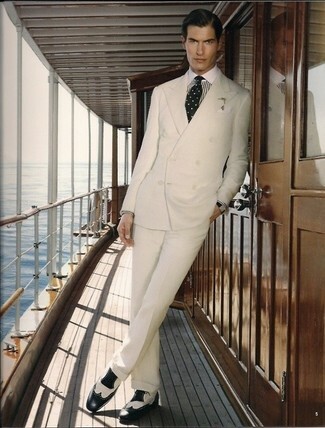 For a nothing less than incredibly stylish getup, rock a white double breasted blazer with white dress pants. 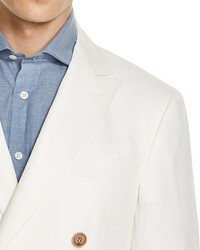 Go for a Canali kei double breasted classic fit sport coat and white dress pants for a sharp, fashionable look. Make your look more fun by rounding off with black and white leather loafers.